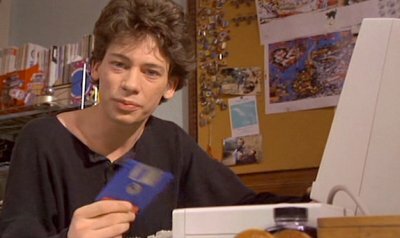 Charles uses the Amiga to store his file on Rachel, and plan his seduction of her. He also plays Battle Chess. 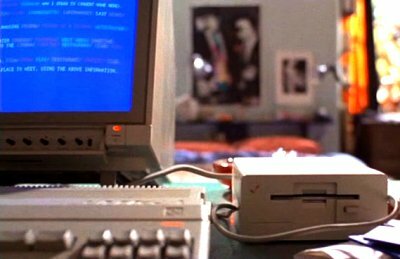 Huge fonts abound in the made-for-the-movies operating system. Where are the huge fonts? 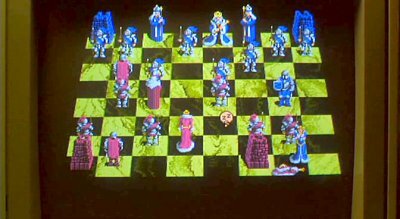 That looks like Battle Chess, which was available for the Amiga. 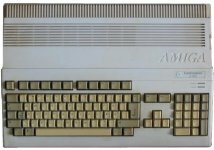 Funnily he's managed to connect an Apple floppy drive into his A500.